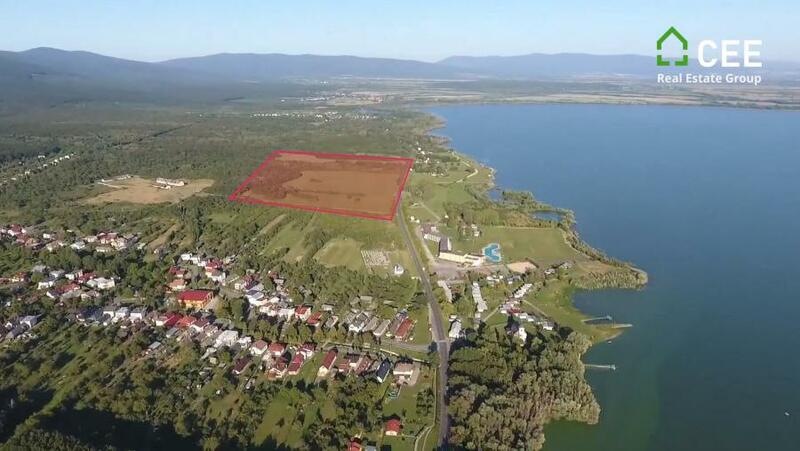 The land is located in the cadastral area of Koločov, in an attractive recreation area Zemplínska Šírava, about 50 meters from the water, in the east of Slovakia, with a wide possibility of its use. Zemplínska Šírava is the second largest water area in the Slovak Republic (33,5 km2) and is the twelfth largest lake area in Europe. Zemlinska Šírava is known for the largest number of sunny and tropical days in the year. It is located in the immediate vicinity of Michalovce district (40.tis inhabitants) and 50km from the second largest city in the Slovak Republic Košice (250.tis inhabitants) with Kosice international airport. The total area of the plot is 366 224 m2, registered as permanent grassland. Purchase of the land and divide in 10 to 15 smaller parcels to sell to different investors who can create their own developments like; housing projects, commercial real estate and recreation real estate projects.